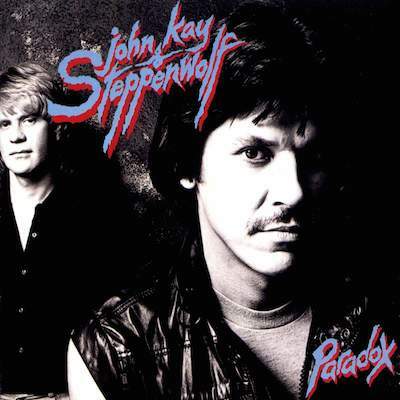 John Kay, the legendary frontman behind the dark shades for classic rock monsters Steppenwolf is definitely not your prototypic ‘Rock Star’ by any means. In fact, a major motion picture should be developed documenting his thrilling exploits before and after becoming a member of one of the greatest bands in rock music history. John Kay (Joachim Fritz Krauledat) was born in East Prussia, Germany at the end of World War II. Kay was five years old and trapped behind the iron curtain; using information obtained from an underground network, a plan was devised, and he and his mother journeyed a heroine but horrifying nighttime escape into West Germany under machine gun fire. John Kay never knew his father who had been killed fighting the Russians, and he grew up as a child surrounded by the remnants of war. A young John Kay (who spoke only German) first learned about rock ‘n’ roll while listening to Little Richard on U.S. Armed Forces radio. In 1958, John Kay and his mother settled down in Toronto, Canada and the radio became his only friend. 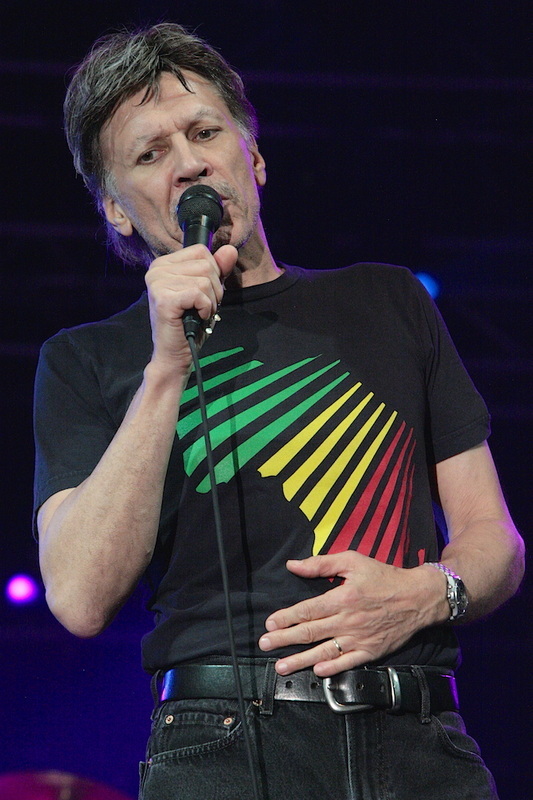 While listening, Kay learned to speak English and explored other types of North American music …including country. Kay learned to play Hank Williams songs on his first guitar. He also listened to church services broadcasting out of Buffalo, New York which impassioned his musical disposition to artists like Ray Charles, James Brown and Sam Cook. 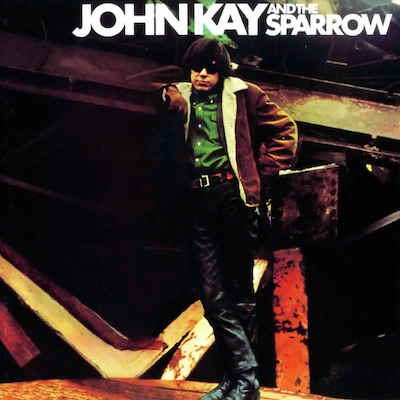 John Kay’s revelation began inspired by Country Music lyric and Rhythm and Blues harmony, which set forth the basis for his rock ‘n’ roll career. John was prepared and disciplined when opportunity came knocking on his door. 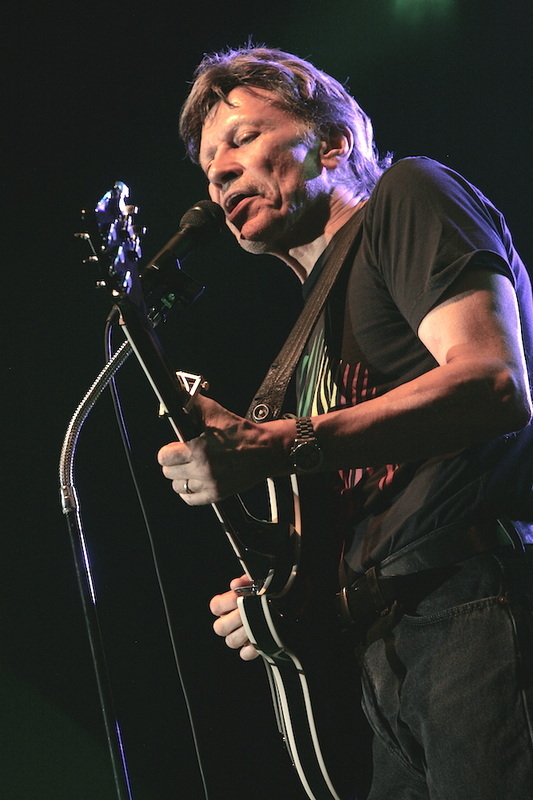 Kay began a career as a musician performing as a folk and blues singer throughout North America. 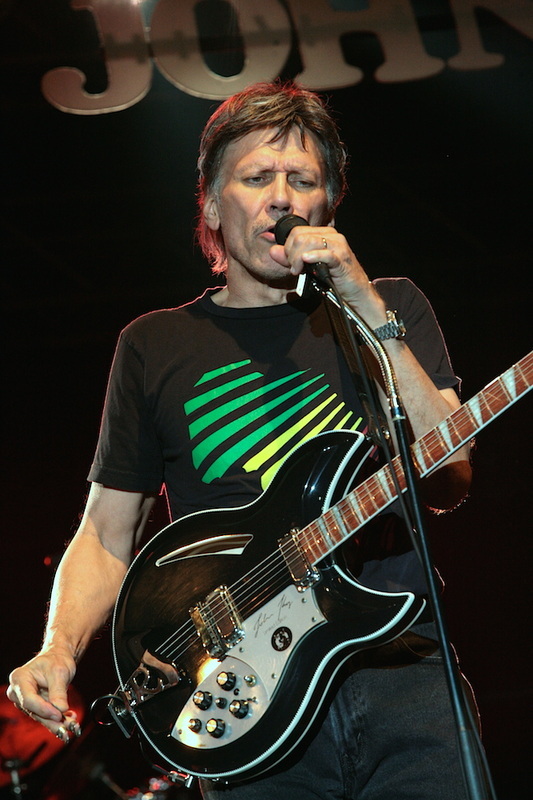 In 1965, he met up with his first band called The Sparrows, a mix of blues-rock toughness that immediately impacted their audiences. The group was entrenched into the Toronto Yorkville music scene but quickly infiltrated San Francisco’s Haight-Ashbury and LA’s Sunset Strip. 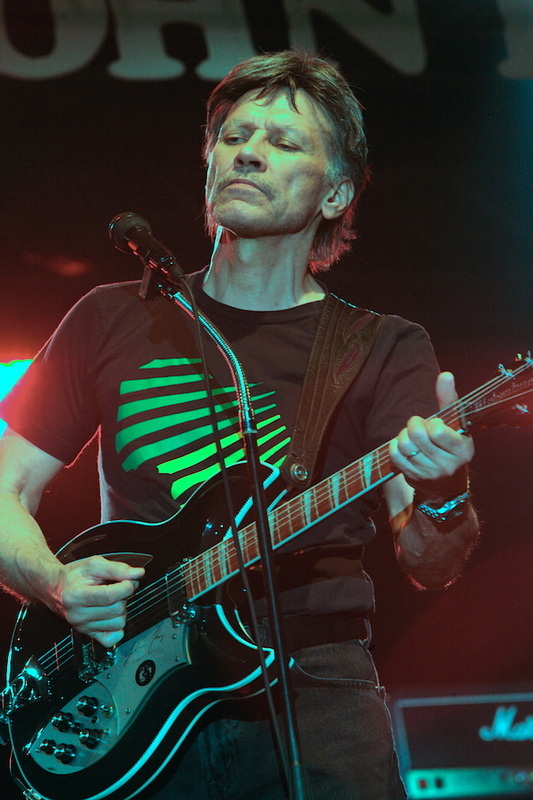 In 1967, after The Sparrows disbanded, Steppenwolf was formed. The name was inspired by a Hermann Hesse novel. The group consisted of John Kay (lead vocals, rhythm guitars), Michael Monarch (lead guitars), Rushton Moreve (bass), Goldy McJohn (keyboards) and Jerry Edmonton (drums). The bands first release in 1968 entitled Steppenwolf was a huge success and the group soon became a mainstay on both FM “underground rock” and AM Top 40 radio stations. The album spawned the bands biggest hit, “Born to Be Wild” (written by Mars Bonfire, drummer Jerry Edmonton’s brother) along with the Hoyt Axton penned, “The Pusher” and Don Covay composition, “Sookie Sookie.” “Born to Be Wild” was widely recognized throughout the years as the biker’s anthem. 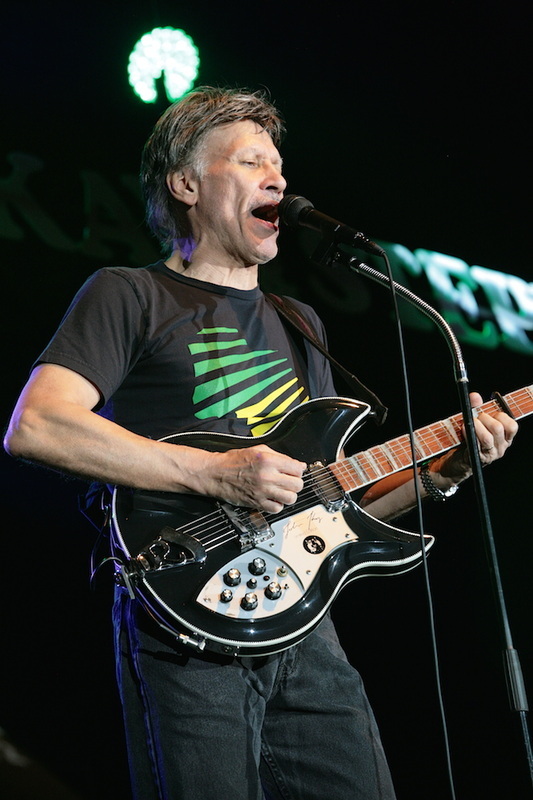 The lyric “heavy metal thunder” is also noted for being used in classifying the music genre “Heavy Metal.” “Born to Be Wild” reached #2 on Billboard’s Hot 100 singles chart in (1968). The song sold over a million copies and was awarded a gold disc. In 1969, Steppenwolf’s fame intensified with the release of the motion picture Easy Rider. Both “Born to Be Wild” and “The Pusher” were spotlighted in the counterculture release. The movie starred Peter Fonda and Dennis Hopper. It also featured a young Jack Nicholson. 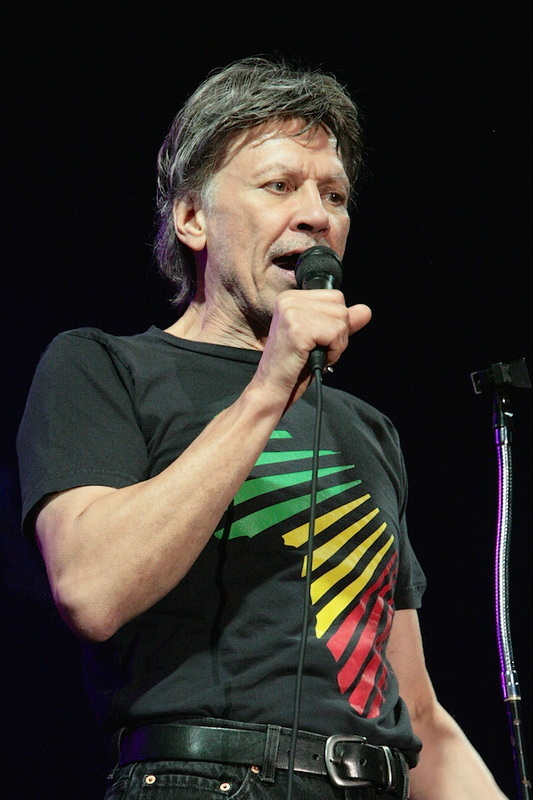 The following album The Second (1968) produced the single, “Magic Carpet Ride” which became the bands second biggest hit (#3 on the Billboard charts). 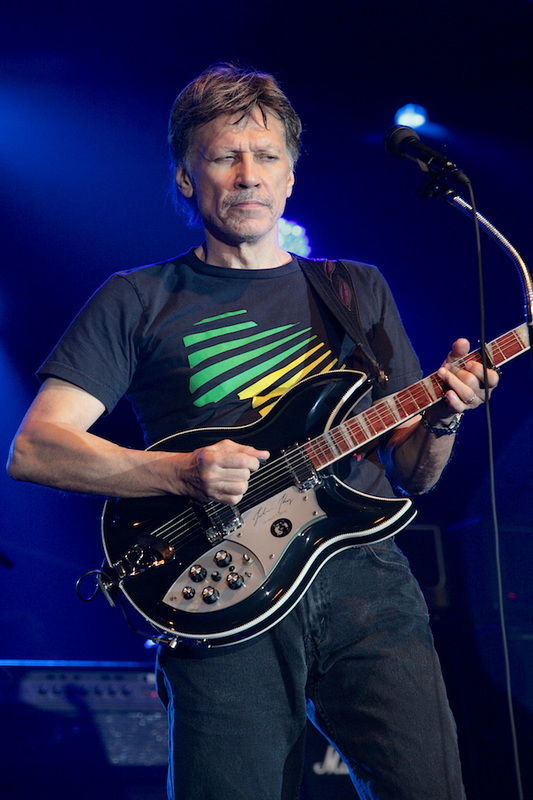 The hard rock-psychedelic composition was co-written by John Kay. To this day …“Born to Be Wild” and “Magic Carpet Ride” have been used in countless movies, television series and commercials. 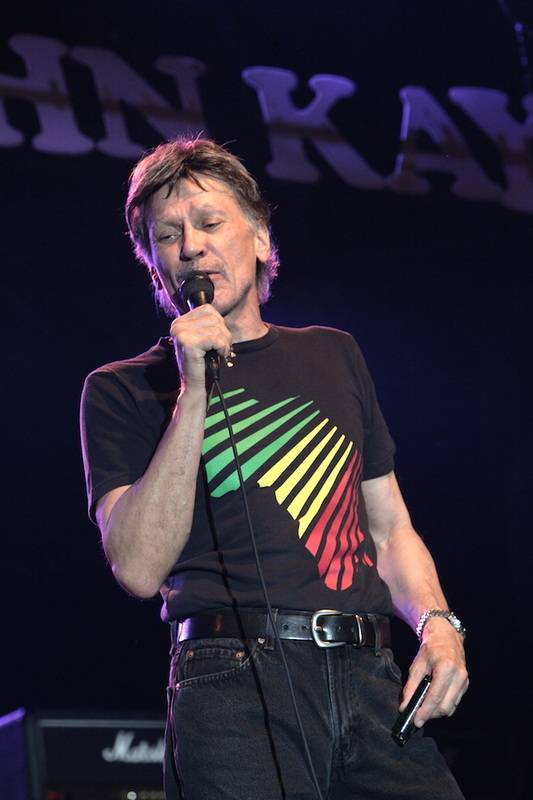 Subsequent Steppenwolf releases … At Your Birthday Party (1969, with new bassist Nick St. Nicholas) spawned, “Rock Me” (#10 Billboard Hit) selling over 1-million units. Monster (1969), Steppenwolf 7(1970), For Ladies Only (1971) revealed political and social messages by the band. 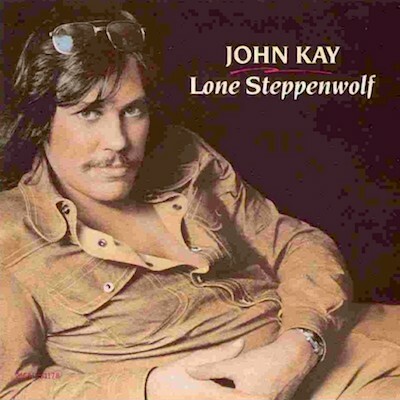 Steppenwolf 7 spotlighted yet another Hoyt Axton penned composition called, “Snowblind Friend” and a modest hit co-penned by Kay entitled, “Who Needs Ya.” Band personnel changes were also made during the period. Their single, “Hey Lawdy Mama” was a #35 Billboard Hot 100 Hit and featured on their 1970 Steppenwolf Live album. Steppenwolf Gold Their Greatest Hits was released in 1971; Rest in Peace 1967-1972 was released in ‘72. 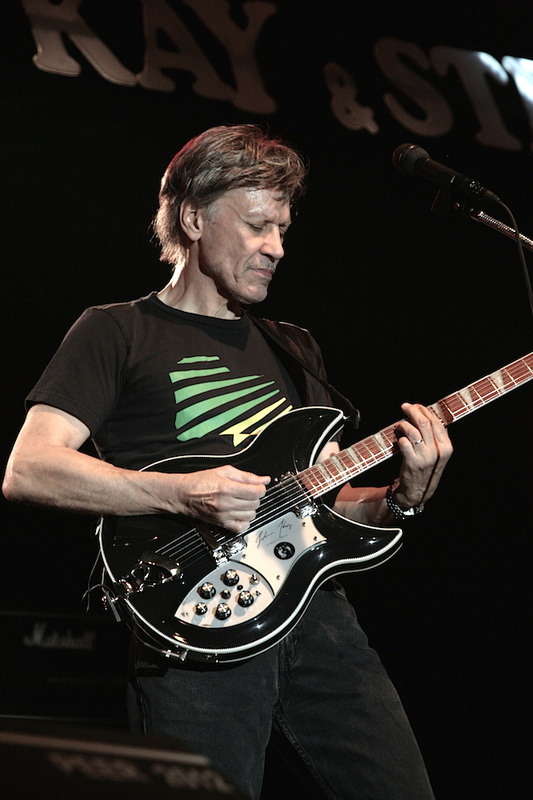 The band remained a huge concert attraction worldwide. In 1972, Steppenwolf disbanded, but reformed with its core lineup in ’74, releasing the album, Slow Flux. Their single, “Straight Shootin Woman” reached #29 on Billboard’s Hot 100. The band followed with Hour of the Wolf (1975) and Skullduggery (1976). The band disbanded a second time that same year. 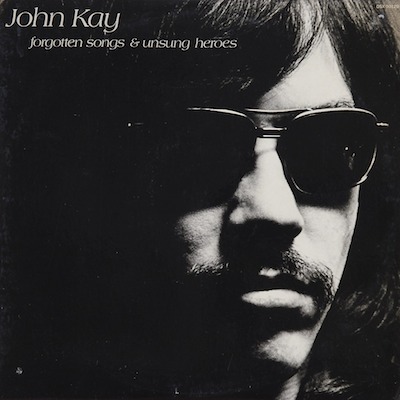 After the first breakup of Steppenwolf, John Kay released his first solo effort entitled, Forgotten Songs and Unsung Heroes. The album featured covers by Hank Williams, Hank Snow, Robert Johnson and his own compositions. 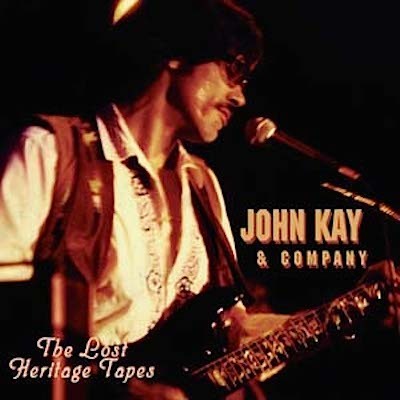 John Kay’s other solo projects include …Hereticks & Privateers, My Sportin’ Life, All In Good Time, Lone Steppenwolf, and John Kay & Company: The Lost Heritage Tapes. From 1977 through 1980, various Steppenwolf incarnations featuring past members toured the U.S. including a variation spotlighting a look-alike version of John Kay sporting his trademark dark sunglasses. John Kay was born with a vision deficiency that leads to increased sensitivity to light. Although the singer appeared hip and cool behind his dark shades, he also had ulterior motives for wearing them. After the overwhelming success of Steppenwolf in the 60 and 70s … it was the billing of John Kay and Steppenwolf that enshrined their legacy and enlightened generations of music enthusiasts for decades. 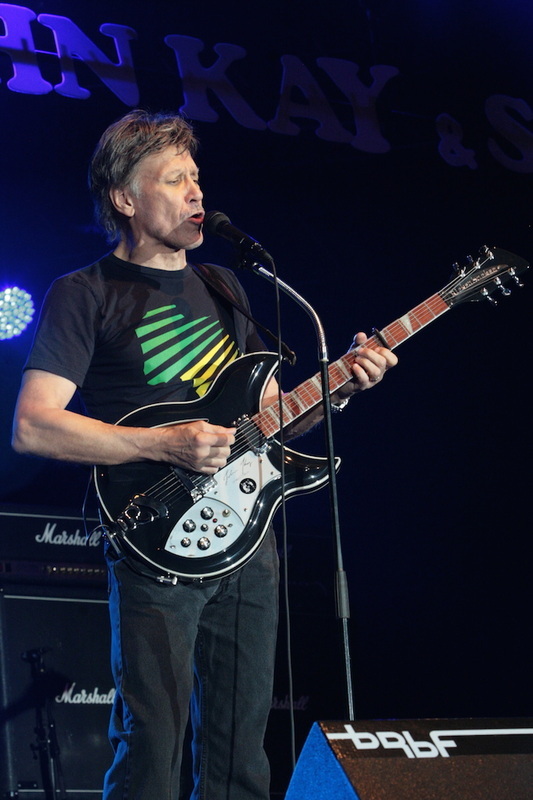 The bands incredible lineup of virtuoso musicians have been performing together since the early 1980’s … John Kay (Vocals and guitars), Michael Wilk (Keyboards), Ron Hurst (drummer), Danny Johnson (guitars- joined in 1996) and Gary Link (bass guitar). 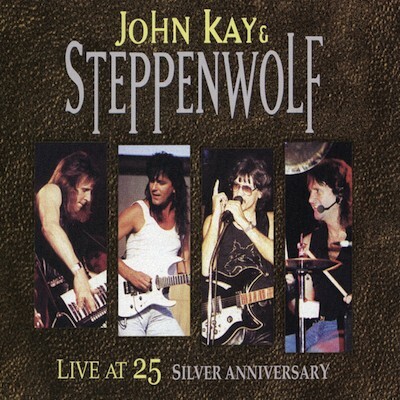 On October 6th, 2007 John Kay and Steppenwolf performed a farewell concert at Ripken Stadium in Aberdeen, Maryland. 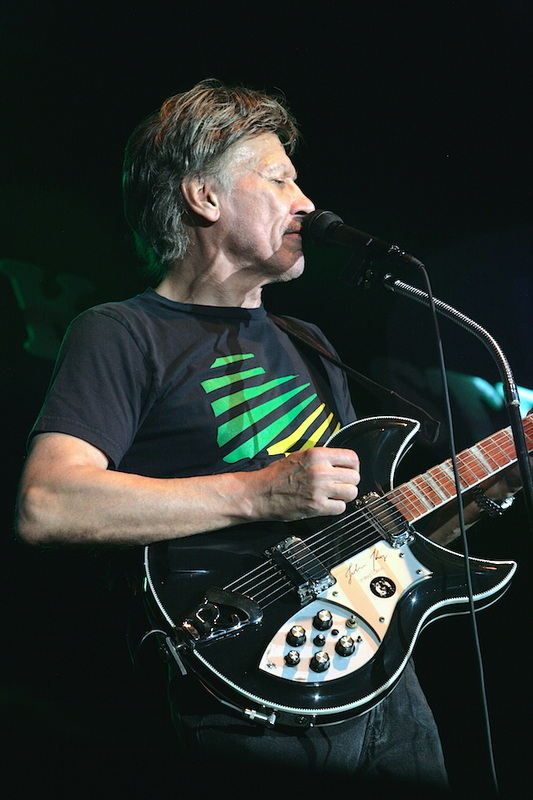 Kay says, “It was basically not so much a farewell concert as it was a farewell tour.” Bringing up another exciting chapter of John Kay’s amazing life, his efforts to protect Wildlife, the Natural Environment and Human Rights. In 2004, John Kay and his wife Jutta Maue Kay formed The Maue Kay Foundation, a nonprofit charitable foundation. Kay has been fully committed in helping to provide financial assistance for various projects around the world. Jutta Maue Kay serves as director of the foundation. Although John’s vision is impaired, it has not stopped him from his most important role as videographer for the foundation. John has captured important areas of concern across the globe …particularly in Cambodia, Thailand, Tanzania and Kenya. 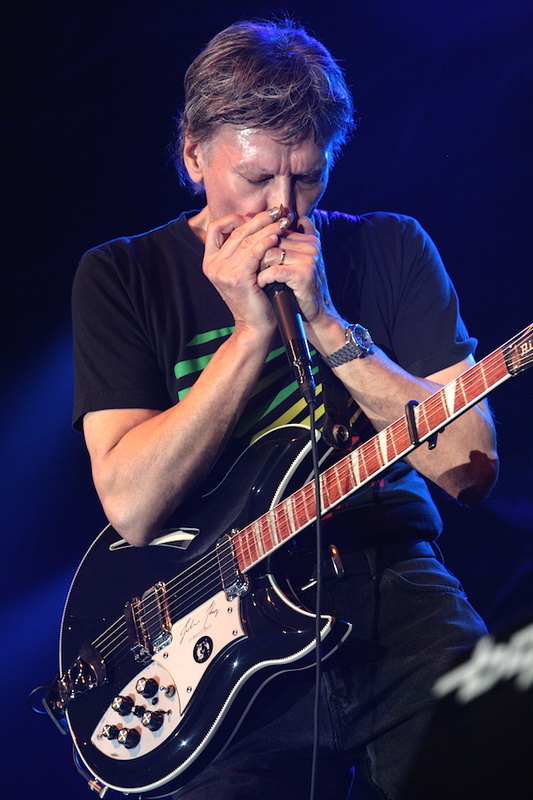 John Kay and Steppenwolf will be performing on Sunday, February 10th at Busch Gardens in Tampa as part of their “Bands, Brews & BBQ” concert series. The show begins at 5:00 p.m. For tickets or further information visit http://seaworldparks.com/en/buschgardens-tampa/Events/Bands-Brew-and-BBQ or call 1-888-800-5447. I had the rare and wonderful opportunity to chat with John Kay recently about his amazing life. 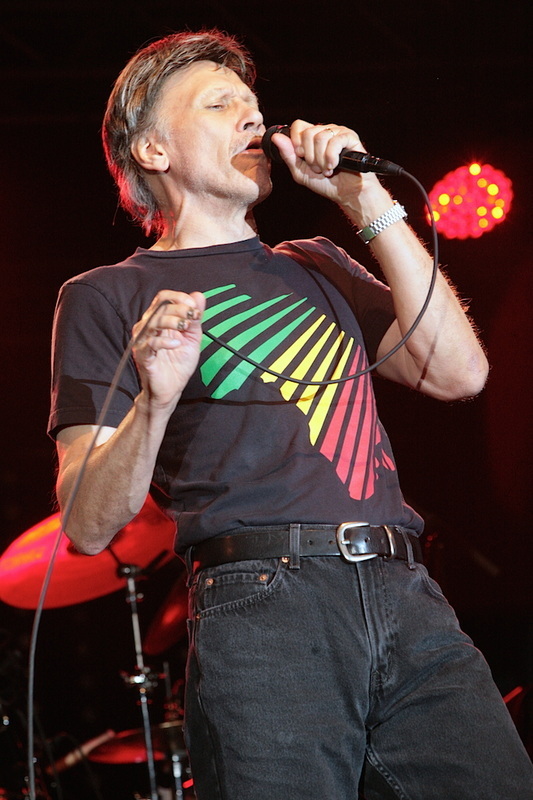 Here’s my interview with Iron Curtain survivor/ Steppenwolf’s legendary leader and frontman/Singer/Songwriter/Musician/Humanitarian/And an incredibly nice guy …JOHN KAY. Ray Shasho: Happy 2013 John, how are you doing? Ray Shasho: Are you calling from Nashville today? Ray Shasho: Well, Florida is not a bad place either and you’ll be performing here in the Tampa Bay area pretty soon. Ray Shasho: The Bands, Brew & BBQ concert series at Busch Gardens is always a great event … huge crowds! 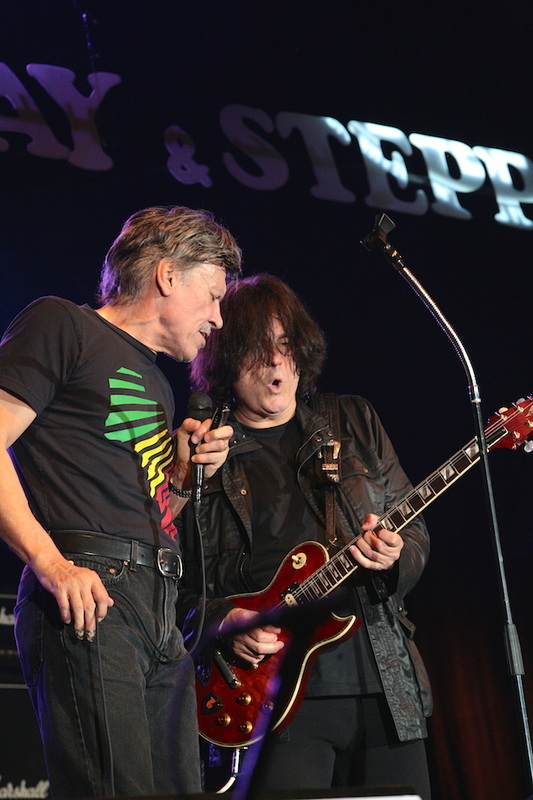 We’re certainly excited that John Kay & Steppenwolf will be performing on Sunday. Ray Shasho: John, you and I met sometime around 2000-2001 in Springfield, Virginia at a venue called Jaxx. I met you at the door of your tour bus holding my 1974 Fender Telecaster to get signed by you. While you were signing it my marker exploded all over the guitar and you got a bit nervous when it happened, but were nice enough to clean it up for me and the signature turned out just great. Ray Shasho: Yes it was! 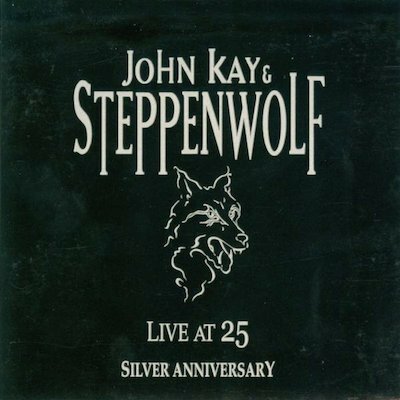 Ray Shasho: On October 6th, 2007, John Kay & Steppenwolf performed a farewell concert at Ripken Stadium in Aberdeen, Maryland …were you planning on retiring? Ray Shasho: John, talk about The Maue Kay Foundation. Ray Shasho: I’ve chatted with many “rock legends” that are extremely sensitive to the humanity of animals ... Greg Lake, Tom Rush and Ian Anderson immediately come to mind. Ray Shasho: Tom Rush’s wife, Author Renée Askins (Shadow Mountain), was instrumental in reintroducing wolves into Yellowstone National Park. What I’ve heard is that they’re already starting to be killed off again. Ray Shasho: John, I could talk about wildlife all day, but I guess we should switch the conversation over to music. Is the band that we’ll see in Tampa … Michael Wilk, Ron Hurst, Danny Johnson, Gary Link and of course yourself? Ray Shasho: How was your classic hit, “Born to Be Wild” conceived? Ray Shasho: Being a Top 40 Deejay back in the late 70s, I believe the period between … 1966-1969 was probably the greatest era for music on the radio. Ray Shasho: I’ve always been a big Hoyt Axton fan, what was the trigger in recording “The Pusher”? Ray Shasho: Of course you co-wrote “Magic Carpet Ride,” so that tune had to be extremely lucrative for you, royalties-wise. 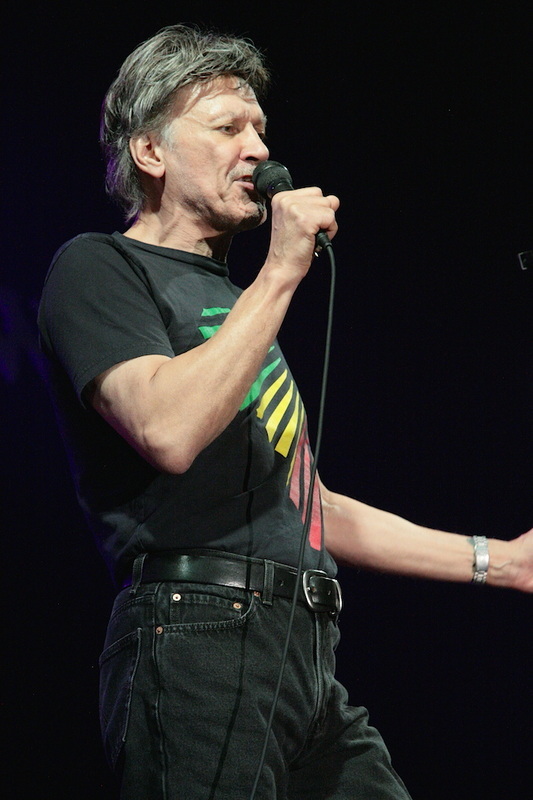 Ray Shasho: Was Steppenwolf asked to perform at Woodstock? Ray Shasho: John, I ask everyone that I interview this same question … If you had a ‘Field of Dreams’ wish …like the movie, to sing or collaborate with anyone from the past or present …who would that be? 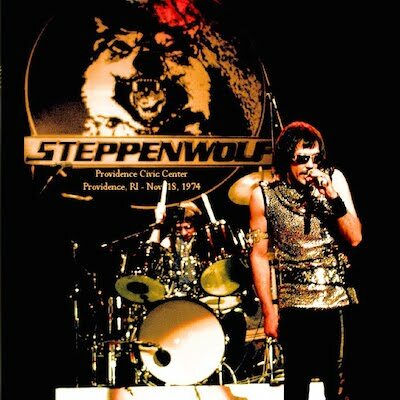 Ray Shasho: John, thank you so much for being on the call today, but more importantly for the great music you and the rest of Steppenwolf have given to us over the years. Ray Shasho: John, we’ll see you in Tampa. Special thanks to Charlie Wolf for arranging this interview. Please support Ray so he can continue to bring you quality classic rock music reporting. Pacific Book Review says Ray Shasho is a product of the second half of the 20th century, made in the USA from parts around the world, and within him is every trend in music, television, politics and culture contributing to his philosophical and comically analytical reflections collected in his fine book of memories. I found Check the Gs to be pure entertainment, fantastic fun and a catalyst to igniting so many memories of my own life, as I too am within a few years of Ray. So to all, I say if you have a bit of grey hair (or no hair), buy this book! It’s a great gift for your “over-the-hill” friends, or for their kids, if they are the history buffs of younger generations trying to figure out why we are the way we are.